Buildings with historical, cultural or political value require world class protection. They are at higher risk of terror attacks including vehicle-borne attacks because of their significance or due to the crowds they attract. Buildings like Media House and Etihad Stadium in Melbourne have already installed bollards to protect staff and visitors against vehicle-borne attacks. There are different ways to protect significant buildings and venues. Bollards is a simple but effective solution that prevents vehicle-borne attacks on the building or the people in and around it. Our high impact crime safe bollards can stop a car at high speed. They come in various different designs from powder coated yellow to sleek stainless steel. We also offer customised designs. The crime safe hydraulic bollard range is particularly appropriate for buildings of significance due to their versatility, giving the administrator total control over who can access and when. 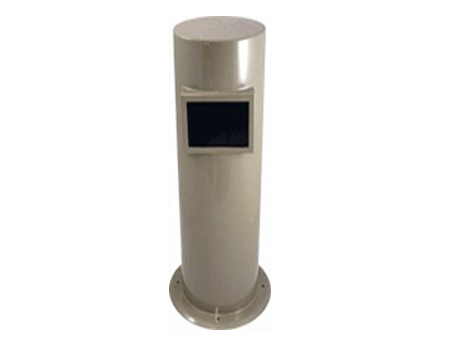 Our hydraulic bollards can be raised or lowered manually. We also offer hydraulic ram barriers. Many also choose to use ballistic glass. Ballistic glass is designed to resist bullets and impact other weapons such as hammers, axes, and vehicles.